Crystal Creek® R.O.I.® No-Phos Beef Mineral is specifically designed for beef rations that do not require supplemental phosphorus. Feed 0.31 lb. (5 oz.) to 0.5 lb. (8 oz.) of Crystal Creek® R.O.I.® No-Phos Beef Mineral per head per day depending on animal weight and nutritional needs. 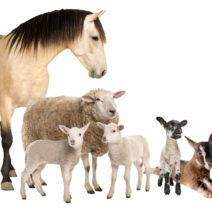 Animals weighing 700 to 900 lb. will typically need 6 oz. of Crystal Creek® R.O.I.® No-Phos Beef Mineral per head per day. 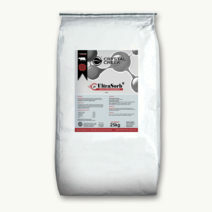 Pre-mix Crystal Creek® R.O.I.® No-Phos Beef Mineral into grain and roughage. 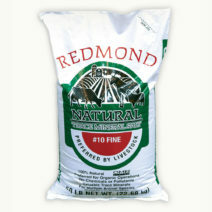 It is recommended that this mineral be used in a ration that has been balanced by a Crystal Creek® Nutritionist.